The B4 High-Radiation Diamond Detector is used for high-intensity beam loss measurements above 105 particles per bunch. This detector is designed for applications, where up to 109 particles ionize the detector simultaneously and the beam losses are measured in AC mode. Charging capacitors compensate for the detector discharge. Linear response for very high intensities, even up to 109 particles per pulse. D4 Attenuator Set for high beam losses. C1 Broadband Amplifier, 2 GHz, 20 dB for medium beam losses. 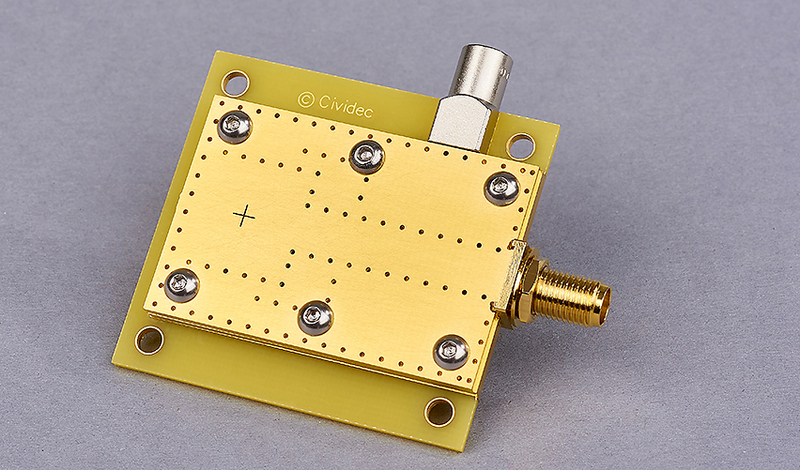 C2 Broadband Amplifier, 2 GHz, 40 dB for low beam losses. 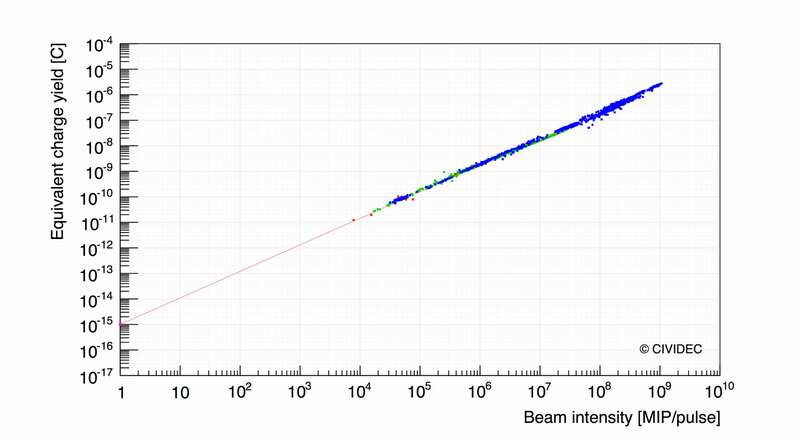 The excellent linearity of the B4 High-Radiation Diamond Detector over 5 orders of magnitude in beam intensity is shown in the Figure. The measurement was performed at the Beam Test Facility (BTF) of the Daphne accelerator complex in Frascati/Italy to test the detector for applications at the LHC and the HiRadMat facility at CERN.